However, the skill does not support setting a timer to turn of your lamp for now. It may be available some time in the future. 1. You'll need a Wow Lamp(model:ALE01), which is available at www.wowlamp.com. 2. 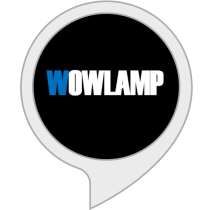 Set it up to Wi-Fi network(has internet access) by using our Wow Lamp app which can be downloaded at Google Play. After that you can start using the skill given that you have already link your account to this skill.